As general manager of Newsday Communications, a division of Event Transportation Systems, I am tasked with helping our clients generate sponsorship revenue that can help offset the cost of shuttle transportation. If you are not already thinking about shuttles as “vehicles” for exhibitors to promote their brands, drive traffic to their exhibits or announce new products and services, it’s time to start. In most destinations, nearly every attendee will see an external shuttle-bus ad multiple times as they enter and exit a convention center. Plus, shuttle buses create a captive audience for both interior graphics and video advertising that can’t easily be ignored. Here are just a few examples and best practices. 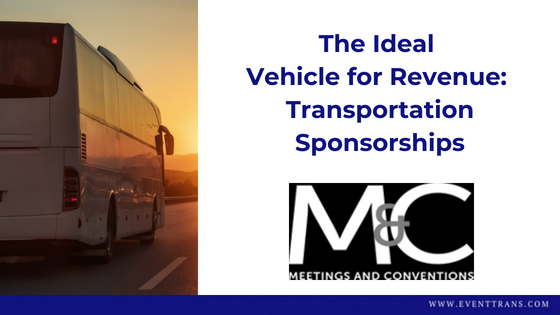 Read her full ‘checklist’ on selling transportation sponsorships for your next conference over at Meetings & Conventions Magazine.